Mag. Monika Hirschmugl-Fuchs - D.M.A.T. 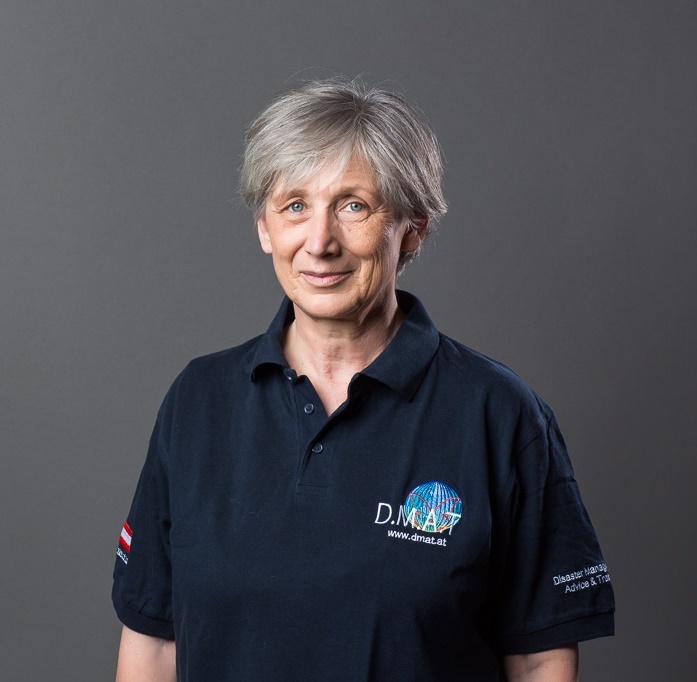 Monika Hirschmugl-Fuchs is Managing Director of the D.M.A.T. Consulting KG. She runs the business together with Prof. Dr. Alois Hirschmugl and she is mainly responsible for internal affairs and economic administration. In the projects she is involved in the planning and the development of projects as well as in implementation. In particular, she is engaged in the design and development of projects and grant applications, as well as financial management. She is also responsible for reporting, social media and the press releases. Mag. Monika Hirschmugl-Fuchs is particularly concerned in including the aspects of sustainability, protection and help for ALL and conflict prevention and management. she also pays attention to prevention through the integration of risk and environmental management considerations into the projects and topics of D.M.A.T. Consulting KG. Mag. Monika Hirschmugl-Fuchs is a business economist and mediator. Through continuous training and further education, she has completed in several areas especially in quality, environmental and risk management, sustainability, CSR and conflict management. Since 1999 Mag. Monika Hirschmugl-Fuchs has been working as a management consultant and since 2001 she worked as a mediator. She focuses on helping people, companies and organizations, even those in difficult situations, build a successful, sustainability-oriented company. This experience can also be incorporated in the projects of DMAT KG. Respecting ethical principles, conserving resources and promoting environmental planning, as well as risk and conflict prevention and the sustainability of project results, are particularly important to her. Through an EU training on the evaluation of sustainability, she also likes to take on this topic. In order to live and develop her priorities together with others, Mag. Monika Hirschmugl-Fuchs works in different expert groups, working groups and associations. She is a member of ARGE proEthik and with the company miraconsult e.U. in the Austrian Global Compact Network. Prior to her self-employment, she gained practical experience in tourism, banking and as a trainer.